Honda spot uses Skeltor and He-Man. Skeletor, the baddie from "Masters of the Universe," is back on screen, bizarrely, as Honda’s newest brand ambassador. And if that wasn’t strange enough he’s supposedly He-Man’s new friend. 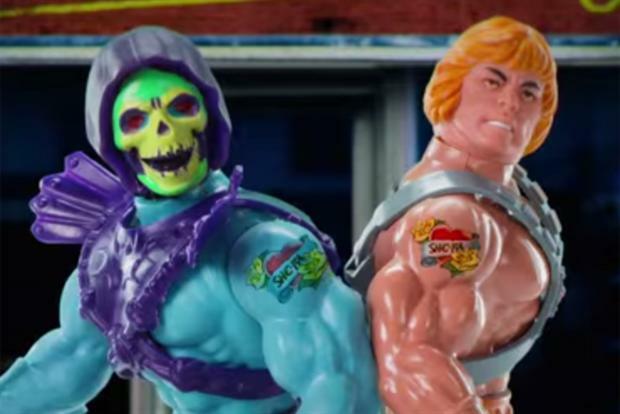 The latest release, ‘Skeletor and He-Man singing Jingle Bros’, is part of the ‘Honda Toy Tunes’ web series. The villain performs the tune as a tribute to his friendship with his former nemesis. In the video, the pair do everything together from getting matching tattoos to spotting each other at the gym. And going for car rides, of course, providing the brand with an opportunity to push the product. The unlikeliness of their friendship paired with the use of stop motion animation makes this creative both humorous and engaging. 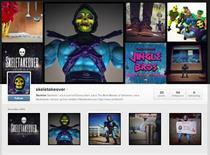 Skeletor and He-Man are not the only characters participating in the series. G.I. Joe sings to Jem to win her over in ‘Fa La La La Love’ and Gumby and Pokey give their rendition of ‘Whatever comes to mind’. There’s even a bit of CSR throw in too; each video is assigned to a charity and the one with the most video views will receive money donated by Honda. The brand is full of interesting advertising tricks this season. On 1 December Skeletor took over Honda’s Twitter account and gained great social engagement through his series of witty and often naughty tweets. However, although this complex campaign pulls off a number of creative ideas, the execution leaves room for improvement. After more than 48 hours on the web — the most crucial time for an online campaign — the series had yet to reach six digit figures. Evidently this piece of content has not been delivered to the relevant audience and one that might push the series socially. This oversight will most likely cost the brand a significant dive in potential viewers and this great piece of content won’t get the exposure it deserves.